A new season calls for a new color. And since we know that you (our Clients!) love color trends, we thought we'd show you the color that we're the most excited for this season and how to rock it in your wardrobe. Hint: Are you red-y to try out a new hue this season? See how you should wear red this spring! Keep it sweet and simple with a preppy pair of shorts! Adding a pop of color to your winter whites and greys is an eye-catching way to bring out some personality. 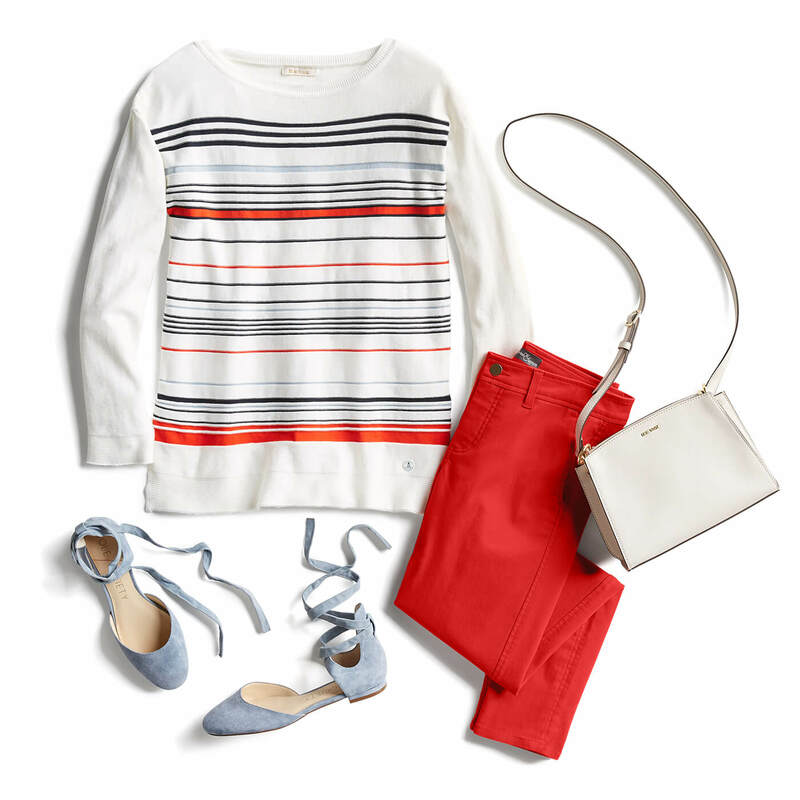 We like slipping into some white sneakers for a prep school, throwback vibe, but feel free to experiment! Get flirty in some loud floral prints and an easy pair of flats! From business casual to a sophisticated date night, a red dress is a must-have for February. Accessorize with a prim, pink cross body—don’t be afraid to wear red and pink together! Sometimes more is more. We all love our everyday denim—there’s no denying it. Every once in a while, though, we have to change things up. Or in this case, spice things up! Get wild with some cherry-red chinos this month. Major fashion points if you can do some matching magic & tie in the stripes of your blouse like we did! Feeling nervous about the bold color? Brush those worries right away. A hot cherry red is a universally flattering color for all skin tones and body shapes. Trust us, you can wear that color. Let the compliments roll in! Ready for some red in your next Fix? Tell your Stylist!